Yes, we realize that a single solution to almost all shoulder pain sounds too good to be true. But the science speaks for itself. A simple exercise called relaxed hanging aka brachial hanging could be the single, most effective solution to all your shoulder problems. The idea comes from the personal research of Dr. John M. Kirsch, a board-certified orthopedic surgeon who’s been practicing for more than 30 years. In short, he’s examined and treated almost all types of shoulder pains and problems in countless patients. And according to his book, Shoulder Pain? 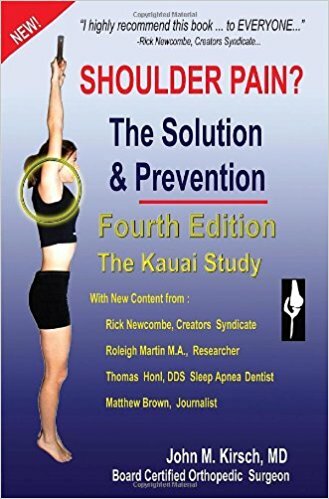 The Solution & Prevention, shoulder hanging is a highly effective but often overlooked orthopedic solution. Doing it regularly could eliminate shoulder pain entirely, whether it’s because of an injury or poor sleeping/walking posture. The method is so effective that Kirsch says it’s better than shoulder surgery. This comes from a guy who used to do shoulder surgeries for a living. And in his book, he advocates trying this method out before considering surgery to see whether or not surgery is even necessary. Although this method stems from the advice of a highly experienced orthopedic surgeon, we understand that you may be skeptical. So instead of taking our word for it, why not give it a try? 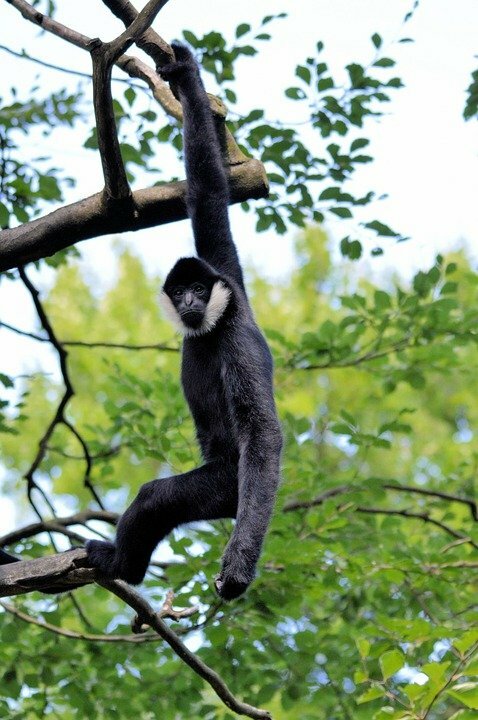 Its name comes from the fact that it stretches the brachial artery, which supplies blood and nutrients to the arms. The best way to perform it is by using a pull up bar. It can be done at the gym, at home, or even at a nearby park’s monkey bars. Relaxed or brachial hanging is simple. It’s basically holding on to a horizontal bar and hanging relaxed with loose shoulders. Your goal is to be able to hold on and hang with your feet in the air. But you can also do it with your feet on the ground for support. It depends on your current strength and endurance level. Grab the bar with your palms facing forward and your arms going straight up. Make sure to align your arms with your shoulders. The proper execution is already on the cover of Kirsch’s book. Slowly put the weight of your entire body on your palms by bending your knees. Let your shoulders come out of their sockets as you’re pulled down by your own weight. If you’re injured, or are simply not strong enough hang on with your feet in the air, don’t force it. Instead, support your weight with your feet. Adjust the pressure on your palms and shoulders by how much your knees are bent. Stay in this position for as long as you can. You can hang for just 20 seconds or several minutes if possible. After this, rest for a couple minutes until you feel that you can perform it again. As with any exercise, you might feel some pain while doing the hang. The important part is that the pain should be tolerable and not the kind that signals tearing or damage. Also, the pain should go away once you stop doing the exercise. And if not, you might need to have your shoulders examined by a doctor. Apart from stretching the brachial arteries, the hang also stretches and strengthens the supraspinatus tendon. 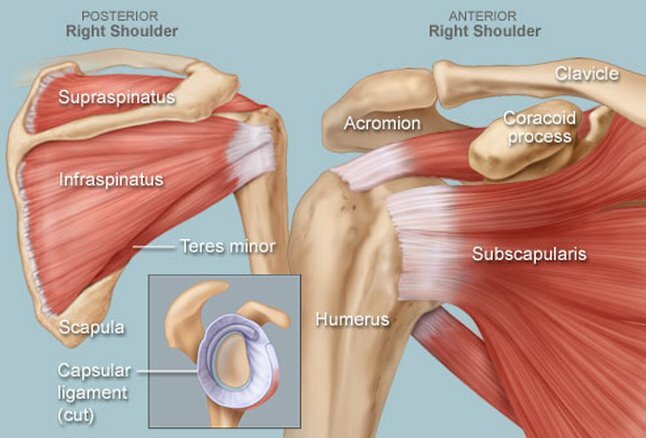 This is the tendon that’s mainly responsible for shoulder strength, mobility, and endurance. When you raise your arms forward, the supraspinatus tendon gets pinched between your shoulder bones. That’s where the pinching sensation comes from when you try to raise an injured or compromised shoulder. But when the arms are raised straight up as in the brachial hang, this gives the tendon room to move and stretch without getting pinched. This allows you to exercise, stretch, and reshape this tendon and the surrounding muscles and bones. The more you do the brachial hang, the better and stronger your shoulders will be. This benefits more than just athletes who experience injuries from physical activity. It’s also a good way to eliminate post-sleep shoulder pain that comes from poor sleeping posture. Instead of depending on pain medication, or shelling out a small fortune for surgery, why not give the brachial hang a try?